Al-Awjah: In his native village of Al-Awjah, the mausoleum of Iraq´s executed dictator Saddam Hussein has been reduced to broken concrete and tangled barbed wire, showing no trace of his remains. The man who ruled Iraq with an iron fist for a quarter of a century was hanged at dawn on December 30, 2006. US president George W. Bush then personally authorised the immediate transfer of the dictator´s body on an American military helicopter from Baghdad to the northern city of Tikrit, near Al-Awjah. Sheikh Manaf Ali al-Nida, a leader of the Albu Nasser tribe to which Saddam´s clan belongs, has held on to a letter his family signed when they received the body, agreeing that Saddam be buried without delay. Today, visitors need special authorisation to enter, the site lies in ruins, and Sheikh Nida has been forced to leave the village and seek refuge in Iraqi Kurdistan. Since the 2003 US-led invasion, his tribe has been "oppressed because we were close" to Saddam, he said, wearing the traditional robes and keffiyeh headscarf of Iraq´s tribes. "Is it normal that we should pay such a heavy price for generation after generation just because we´re from the same family?" At Saddam´s grave, paramilitaries of the Hashed al-Shaabi coalition, tasked with security in the area, say the mausoleum was destroyed in an Iraqi air strike after the Islamic State militant group posted snipers on its roof. Sheikh Nida was not there to witness the blast -- but he is convinced that Saddam´s tomb was "opened and blown up". Jaafar al-Gharawi, the Hashed´s security chief, insisted: "The body is still there." 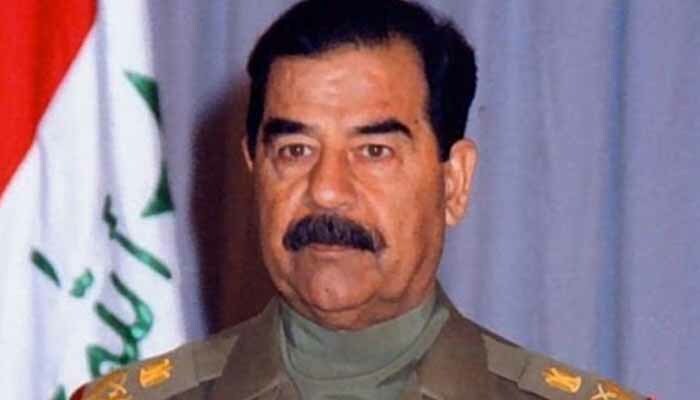 One of his fighters, however, speculated that Saddam´s exiled daughter Hala had flown in on a private plane and whisked her father´s body away to Jordan. "Impossible!" said a university professor and longtime student of the Saddam era, who declined to give his name. "Hala has never come back to Iraq," he said. "(The body) could have been taken to a secret place... nobody knows who moved it or where." If that was the case, Saddam´s family would have closely guarded the secret of the location, he added. Saddam´s tomb could have suffered the same fate as that of his father, at the entrance to the village, which was unceremoniously blown up. "Saddam´s not dead," he said. "It was one of his doubles who was hanged."